Good news everyone! Due to feedback from the community we decided to extend the contest by 1 month. Submit your entries by June 15th! We can't wait to see what you build! The robot overlords are arriving. Will you welcome them, or will you fight? Imagination Technologies invites you to participate in the creation of what might become the next SkyNet, using their latest technology, the Creator Ci20. Creator Ci20 is a brand new (and purple!) microcomputer from Imagination that packs a dual-core MIPS CPU and supports OpenGL ES 2.0 graphics and 1080p video. In addition, the boards features integrated connectivity (Wi-Fi and Bluetooth), on-board memory (1 GB RAM, 8 Gb flash), a dedicated camera interface and other cool features. Ci20 runs multiple Linux distributions (e.g. Debian 8) as well as Android 5.1 Lollipop. Design the best looking Hunter-Killer drone, T-1 tank, T-800 clone, or Terminator™ style robot using the Creator Ci20. Win awesome prizes that will help to transform you into a cyborg! Allow up to 48 hours for us to approve your idea. We will be giving away a brand new Creator Ci20 to the 50 best ideas! 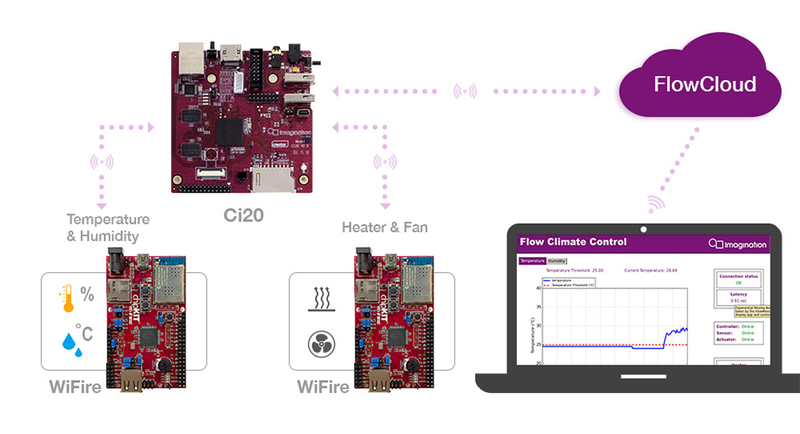 Build your project using the Ci20. Start by creating a free account on Hackster.io (or sign-in if already a member) and register for the contest by clicking "Register as a participant". Start with a high quality image which is fun (and legal to use). Tell us what you want to create. Click "Submit an entry" and fill in the template. Describe your design for a Terminator™ inspired Ci20 hack. Include plenty of details: what are you creating? What does it do? Why is it cool? Give ample of technical information. Check out this project on Hackster to get inspired. CAD files if you created an enclosure. We are giving away hundreds of dollars in prizes to the top 3 projects! Our judges will pick the best qualifying 3 projects based on the judging criteria outlined in the rules section. A bag of Imagination-powered goodies, including a Meizu MX5 smartphone, the upcoming Creator Ci40 dev board and other cool accessories and add-on boards from MikroElektronika! A Securifi Almond Router and a Creator Ci40 dev board! A chipKIT Wi-FIRE dev board and a Creator Ci40 dev board!